Turtle Hut | Zoo Med Laboratories, Inc. 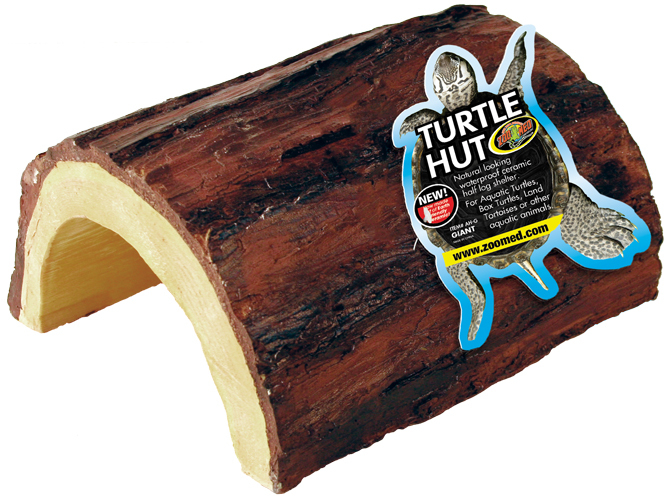 If you want the look of a natural log hiding place for your reptiles with the convenience, strength, and washability of ceramic, then Zoo Med’s Turtle Hut is for you. Inert material means it won’t mold and is easy to sterilize. It can be submerged in water for aquatic turtles, newts, and even shy fish, or used on dry land for any species of reptile or amphibian.